Music and nightlife vector art. 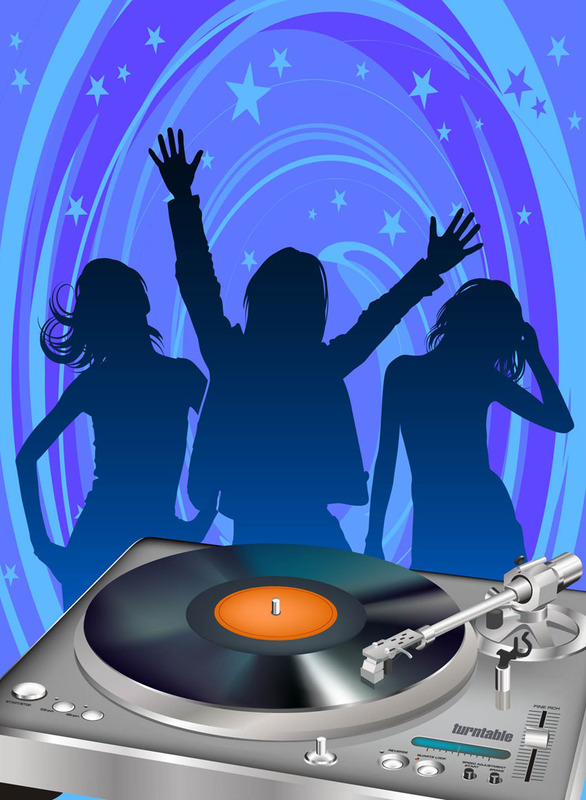 Amazing vector illustration of a DJ turntable and people dancing against a blue pop art background full of stars. Vector graphics of a turntable as seen from an angle with great details and gradients. 0.